A team of game designers and developers previously employed to work on titles such as Uncharted, Shovel Knight, Call of Duty, Syphon Filter, and from a variety of game companies including Sony, Microsoft, EA, Capcom and more. Have joined forces to create a new virtual reality game that will be available on the Playstation VR, Oculus Rift and HTC Vive. Providing a fast-paced flight adventure game. Check out the trailer below to learn more about what you can expect from the storyline and gameplay. Vanguard V is designed for Virtual Reality, with diverse settings including flights through space, Earth’s surface, and the worlds below. You are the sole defender and greatest weapon against the Parasites. The freedom of flight meets action adventure! 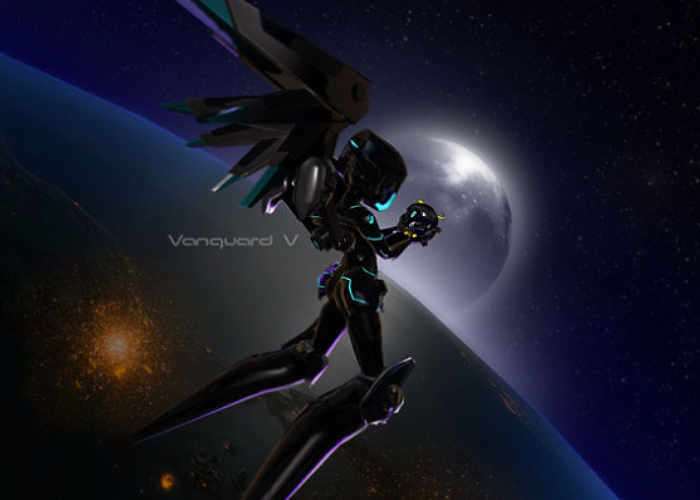 Vanguard V began as a small demo released in 2014 for the Oculus DK2. Back then the team was small but dreamed of someday creating a studio dedicated to virtual reality game development. The demo caught the attention of many before retail VR was even available. It was showcased at events by Oculus, Sony, and others to show solid gameplay in VR. It was nominated for several awards at the first Proto Awards that same year. The team knew that to finish the title would take serious foundation. The following two years brought sweat, blood, and a never ending determination to bring a dream to reality. ZeroTransform released Proton Pulse to every major VR platform and Pulsar Arena to launch with the Oculus Touch. We’re comfortable working across all VR platforms. We brought in other great minds and put in the work to ensure the game company was created properly. The game we plan to make has a much higher bar in quality and scope than the original prototype. From design, to business, we have the tools to make this happen; now we just need the support to keep going long enough to finally finish it.